When the fixtures for the last week of 2017 were announced, it was hardly imaginable that it’d be Crystal Palace who would keep Manchester City’s win streak at bay. 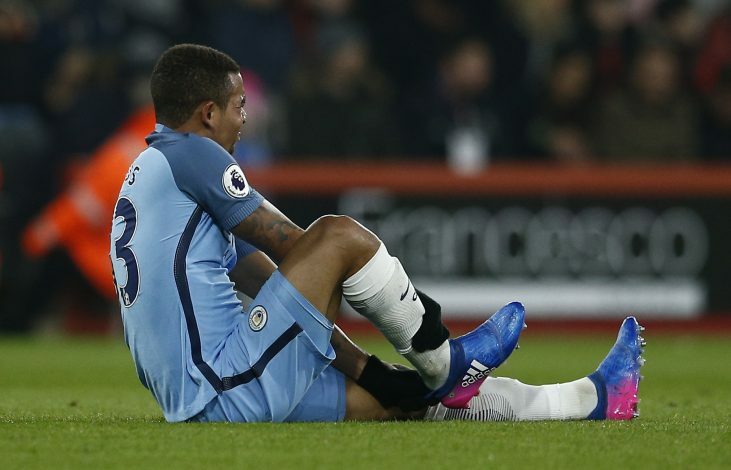 But other than the surprising result that stayed goalless until the full-time whistle, the Cityzens now have to deal with a rather sickening injury to Gabriel Jesus, accompanied by an unexpected knock to Kevin De Bruyne. Further, Palace also have been struck with a long-term injury of Scott Dan, who was stretchered off just minutes before the next injury woe of the match. However, it was the young Brazilian’s overstretched leg that broke the hearts of the City supporters and left himself in tears from the pain and disappointment after being forced off pitch in less than 30 minutes. But as a consolation, boss Pep Guardiola’s reaction left the Sky Blues with some satisfaction, as the gaffer’s faithful pat on Jesus’ head showed trust and support among the club staff and players. The youngster’s sorrow is completely understandable, as the second half of the season could potentially prove to be tricky for his boss, and it may also end up being a hurdle the forward might fail to leap over to play in the upcoming World Cup in the summer. Nevertheless, Sergio Aguero and David Silva seem more than capable of replacing the star duo and carry their team to what seems like an almost secured Premier League title.